GAUHATI,India (AP) — Police in northeastern India have arrested 61 Rohingya Muslims this week for illegal entry, officials said Tuesday, amid reports that more than 1,300 have recently crossed the border from India into Bangladesh. In Assam state, police said they arrested 30 Rohingya, including 12 children, who were found traveling on a bus Monday night to Gauhati, the state capital. In neighboring Tripura state, police said they arrested 31 Rohingya on Tuesday after they spent two days in the open in a no man’s land along the border with Bangladesh. The Rohingya had been stranded there after both Bangladeshi and Indian border guards refused to let them enter their territories. Ajoy Das, a local police official, said members of India’s Border Security Force provided them with food and blankets and later detained them before handing them over to police. More than 700,000 Rohingya have fled from Myanmar, chiefly to Bangladesh, since August 2017 to escape army-led violence against them. Most Rohingya Muslims in Buddhist-majority Myanmar are denied citizenship and face widespread discrimination. An estimated 40,000 other Rohingya have taken refuge in parts of India. Less than 15,000 are registered with the U.N. High Commissioner for Refugees. 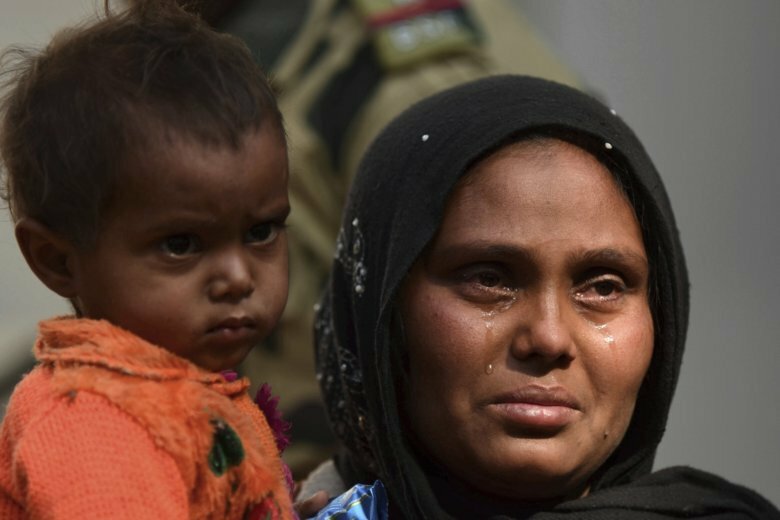 The Indian government, led by a Hindu nationalist party, says it has evidence there are extremists who pose a threat to the country’s security among the Rohingya. It has deported more than a dozen in the past two months for illegal entry. Indian border guards have denied Bangladeshi media reports that India is pushing Rohingya across the border. “In recent weeks more than 1,300 Rohingya people have entered Bangladesh from India and they are now staying in different camps in Cox’s Bazar,” said Saikat Biswas, a spokesman for the Inter-Sector Coordination Group for U.N. agencies working in Bangladesh to deal with the Rohingya crisis. The huge exodus of Rohingya from Myanmar began after security forces there launched a brutal crackdown following attacks by an insurgent group on guard posts. Many people in Myanmar do not accept Rohingya as a native ethnic group, viewing them as “Bengalis” who entered illegally from Bangladesh, even though many have lived in Myanmar for generations. Alam contributed from Dhaka, Bangladesh.